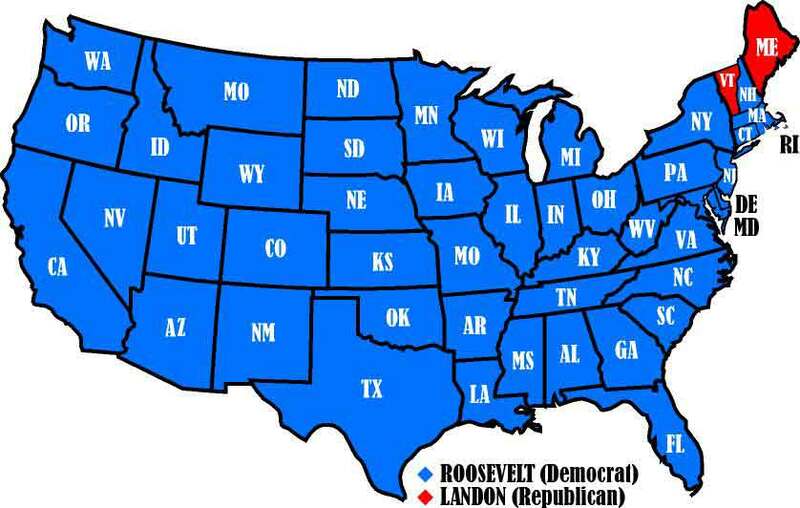 Alfred Landon, Republican governor of Kansas, ran against President Roosevelt in 1936, arguing that the New Deal was hostile to business and promoted bureaucratic inefficiency. Alfred Landon, ca. 1936. Prints and Photographs Division, Library of Congress.